Kale and mushroom frittata is a great way to use up some leftovers. And it’s a very cost effective meal. Plus you can make this as intricate as you like. Honestly I’d probably add in more eggs to make it fluffier and I’d be serving two people. You’ll need a very small pan if you follow the recipe exactly. It’s meant to serve one. And you know I’d ditch the kale. Although, I was in the cooking class at Sur La Table on Flavors of Tuscany. We put kale into the soup and it worked. So maybe I won’t be so anti-kale in the future. But what do I usually have in my fridge? Spinach and chard. So that would go in. I’d also have fun with the cheese. You could do Swiss or smoked Gouda. I also almost always have shredded Mexican blend since I love my tacos. You could also add in artichoke hearts and asparagus for a spring flavor. And broccoli if you have any leftover. Remember, if you make too much during the week, save it and do a catch all dinner or lunch once a week. Zucchini and tomatoes will be in season before you know it. They’re great in a frittata as well. I’d also look into some fresh herbs like thyme, chives, tarragon, marjoram and oregano. 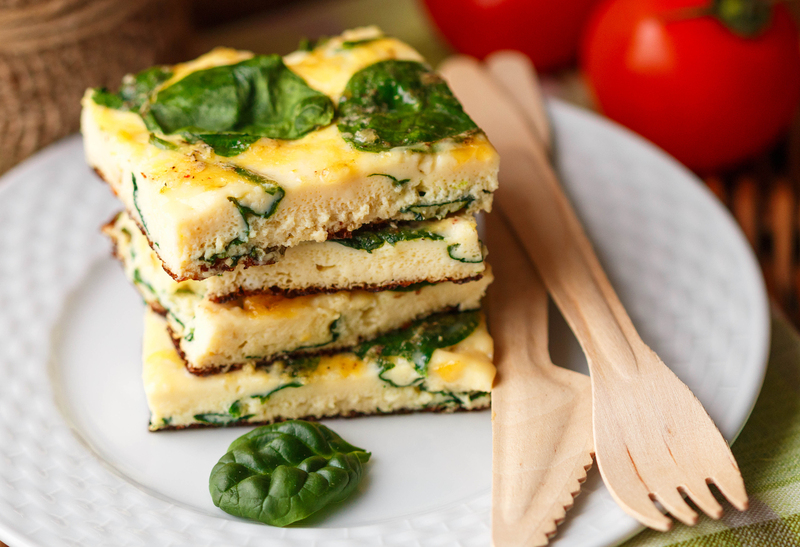 You don’t need to add anything as this has it all with protein from the eggs and cheese and fiber from the vegetables. But if you’re like me, you’ll want to add in a crisp salad with a lemon and white wine vinaigrette dressing. Arugula (or Rocket if you’re British) adds a lovely peppery flavor to everything.